The library staff would like to invite you to join us for our 3rd Annual Reynolds Library Open House! 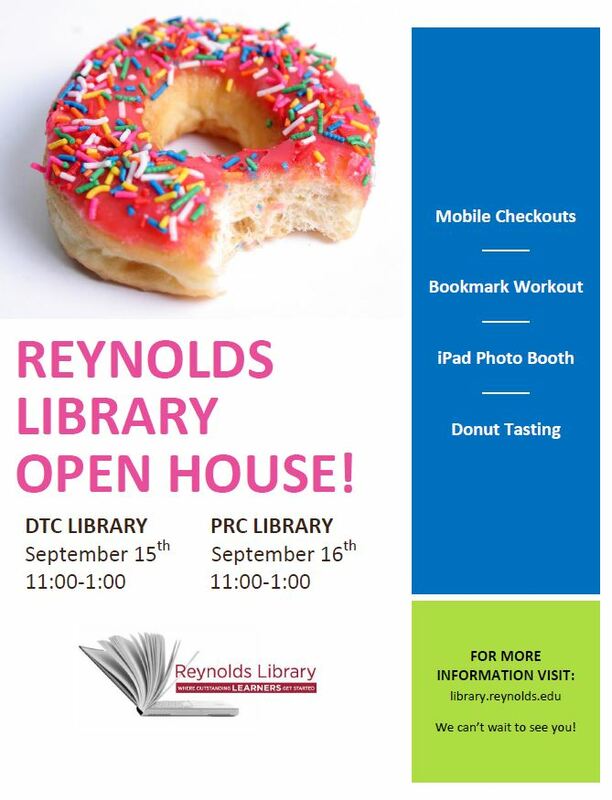 Come and learn about our new mobile checkouts, have fun doing bookmark workouts with our librarians, take photos using an iPad Photo Booth, and taste the flavors of some local Richmond donut shops! Next Next post: The Donut Results Are In!